After having read in the spring issue of this newspaper about the 2014 audit of the Town of Franklin financial operations by the Office of the State Comptroller (OSC), you might have wondered how it could be the first time that you learned of this critique. Arguably, this is because the town board did what it could to keep this report from the citizens — legally and then some. Now Report 2014M-32 can be inspected at the town hall during office hours. (It had been lost in the files.) The OSC is more accommodating. Anytime, this audit can be read at your leisure, printed, or downloaded for free at: https://goo.gl/nYBygL. Elections for town government are held every other year. In November of odd years, elections are held for Supervisor, Clerk, Highway Superintendent, Justice, and two of the four Councilmen. (Councilmen serve for four years, with two up for reelection each time.) This year Susan Fairbairn and Garret Sitts will be up for reelection, should they choose to run again. At the end of the May Town Board meeting, Supervisor Smith announced that he will not stand for reelection, after serving for eleven terms over twenty-two years and before that, a few terms as a Councilman. In Franklin, most elections have the Republican candidate running unopposed. Candidates of political parties may petition between June 4th and July 11th. In Franklin, a place on the Republican ballot requires the signatures of at least five percent of registered party members, which would equal thirty-five. 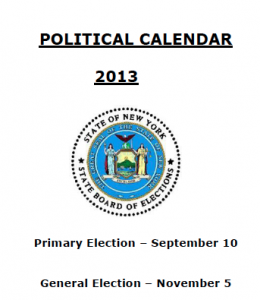 There is no September primary for unaffiliated candidates, so they may petition later, between July 9th and August 20th. A place on the ballot requires the signatures of at least five percent of all residents who voted in the last gubernatorial election. In Franklin, that would equal forty-two. Besides candidates, petition question may be placed on the ballot. Signatures can be collected likewise in July and August. The minimum number of signatures needed for ballot questions is much higher than for candidates: at least twenty-five percent of those who voted in the last gubernatorial election. In Franklin, that would be two hundred and eight. 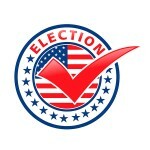 This year the election is Tuesday, November 5th, with the polls open in the Town sheds from 6 am to 9 pm. Absentee ballots must be postmarked by September 9th or delivered in person by the following day.